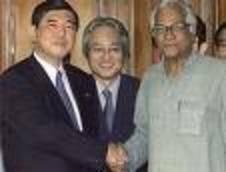 Defense Minister Shigeru Ishiba of Japan, as Director-General, with India's Minister of Defense (2003). "Did you know that: The first UFO sighting in Washington, D.C., was 1850; The first UFO photo taken in Washington, D.C., was 1942; The first attempted military intercept of a UFO over D.C. was 1948; UFOs were sighted and or photographed over Washington, D.C., 22 times, in 1952; UFOs were sighted and or photographed over Washington, D.C., 12 times, in 2002; Washington, D.C., is statistically the UFO sightings capital of the world; UFOs are currently being sighted over Washington, D.C., as of 2007." Robert M. Stanley - Formerly a corporate journalist for HONDA Research & Development in Torrance, California, Robert M. Stanley is currently the editor of UNICUS magazine and the author of CLOSE ENCOUNTERS ON CAPITOL HILL. He has passionately researched UFOs for over 30 years. In that time, he has interviewed dozens of eye-witnesses and leading experts. His ongoing investigation of UFOs has been featured on international television and radio, and in print. Mr. Stanley is a native of Los Angeles. He spent 20 years growing up in Malibu, California, before moving to the South Bay. He has traveled to over 50 countries in search of answers to ancient mysteries. His hobbies include surfing, motorcycles, hiking, archaeology and music. NOTE: Here is a remarkable statement by Defense Minister Shigeru Ishiba of Japan, which actually signals a peaceful response by the Japanese Self Defense Forces if Extraterrestrials were to arrive with an open message of coming in Peace. "Ishiba said it would be difficult to determine on what legal grounds the Self-Defense Forces could be mobilized if a UFO violating Japanese airspace is not hostile. "Would that be mobilization for an act of defense? That would not be the case if they say, 'Everyone on the Earth, let us be friends,"' Ishiba said. "Or what can we do when we can't figure out what they're saying?" Ishiba was quoted as saying by Kyodo News. We were in Japan this past week for consultations with the Future Earth Research Institute on New Energy and Extraterrestrials, and found that this is a position that may largely be supported privately by many Japanese politicians and officials, according to informed experts on the Japanese government. Given these preliminary statements by the Minister of Defense, Japan may become a priority nation for the scheduling of an open, interactive mutually beneficial Extraterrestrial landing in Japan, centered around implementing ET-human infrastructure and cooperation in mutual projects. Defense Minister Shigeru Ishiba said Thursday that he was troubled over potential legal issues if a UFO arrives in Japan, requiring action by the Self-Defense Forces, Japanese media reports. The subject was triggered by a question from oppositional lawmaker Ryuji Yamane, who argued the government should attempt to confirm what UFOs are because of "frequent observations" of them in Japan. "There are no grounds for us to deny that there are unidentified flying objects (UFOs) and some life-form that controls them," Ishiba said at a news conference. "Various possibilities should be considered." Ishiba noted that in the classical Godzilla movies, Japan deployed its military against the monster. "Few discussions have been made on what the legal grounds were for that," the minister said, drawing laughter from reporters, according to an AFP report. Ishiba said it would be difficult to determine on what legal grounds the Self-Defense Forces could be mobilized if a UFO violating Japanese airspace is not hostile. The minister added that he was strictly speaking his own views and that the ministry was not actually working out ways to deal with UFOs. The government officially took the position Tuesday that the existence of UFOs are unconfirmed. Chief Cabinet Secretary Nobutaka Machimura drew headlines around the world when he after the conference stated he was a firm believer in UFOs, citing Peru's Nazca Lines as evidence. Did you know that: The first UFO sighting in Washington, D.C., was 1850; The first UFO photo taken in Washington, D.C., was 1942; The first attempted military intercept of a UFO over D.C. was 1948; UFOs were sighted and or photographed over Washington, D.C., 22 times, in 1952; UFOs were sighted and or photographed over Washington, D.C., 12 times, in 2002; Washington, D.C., is statistically the UFO sightings capital of the world; UFOs are currently being sighted over Washington, D.C., as of 2007. Elizabeth Kucinich, Drexel University Democratic Debate: "UFOs are a Waste of Time"
Paola Harris, MEd. is an Italo-American photojournalist and investigative reporter in the field of extraterrestrial related phenomena research. She has studied extraterrestrial related phenomena since 1979 and is on personal terms with many of the leading researchers in the field. From 1980-1986 she assisted Dr. J. Allen Hynek with his UFO investigations and has interviewed many top military witnesses concerning their involvement in the government truth embargo. In 1997, Ms. Harris met and interviewed Col. Philip Corso in Roswell, New Mexico and became a personal friend and confidante. She was instrumental in having his book The Day After Roswell, for which she wrote the preface, translated into Italian. She returned to Roswell in the summer of 2003 for the American debut of her book, Connecting the Dots…making sense of the UFO Phenomena (Granite Press). 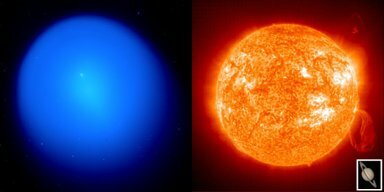 Paola has consulted with many researchers about the best avenues for planetary disclosure with emphasis on the “big picture” and stressing the historical connection. She has written for Nexus, UFO Magazine, Notizario UFO and Dossier Alieni, among other publications. Her books include Connecting the Dots, and Exopolitics: How do you Talk to a Ball of Light? Aloha and thanks to all that participated in last week's meditation on Comet Holmes. A number of individuals reported profound meditation experiences related to this comet phenomenon which continues to expand. According to the physicist James McCanney, Comet Holmes is likely to experience another plasma discharge when it comes into alignment with the electromagnetic tails of the Earth and Mars on December 22. This is likely to again make Comet Holmes easily visible to the naked eye. One can perform their own private ceremony or just contemplate the significance of this Comet Holmes. 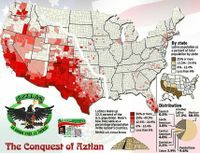 The Hopi prophecies speak of a transition from the fourth world into the fifth world. We can view the significance of Comet Holmes in light of the Hopi prophecy, and/or also the possibility that it is an extraterrestrial artifact designed to help humanity awaken. 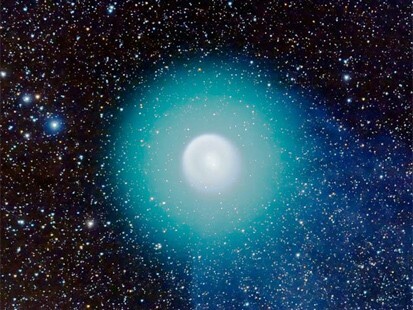 The emphasis is on perceiving Comet Holmes to be a new beginning for the planet and for each of us individually. Please circulate this notice to other groups and individuals that might join this effort. Mahalo for your consideration and support of this group meditation. Aloha, I highly recommend the following (draft) article by Grant Cameron which presents an exhaustive list of 65 reasons why the reality of extraterrestrial life has not been 'officially' disclosed by responsible government entities. The article helps considerably in giving a detailed understanding of some of the powerful public policy choices being faced by government entities dealing with the reality of extraterrestrial life. Most compelling are factors relating to the secret government's fear that official disclosure would lead to it losing power in deciding public policy issues, and the likelihood that UFO/ETI groups would gain great influence. 'Official' disclosure would mean real power shifts from the small secretly appointed committees dealing with ETI, to a larger democratic base of global society. Grant Cameron's article is probably as close as we can get to a comprehensive understanding why "official" disclosure has not occurred. In contrast, we have only received officially sanctioned partial releases of information that maintain plausible deniability by withdrawing physical evidence, and including inconsistencies and disinformation. Thus the mainstream press avoids such officially sanctioned information leaks given the risk to professional reputations in running stories that can't be confirmed. Similarly, scholars, who study extraterrestrial life face significant challenges in getting articles published in peer reviewed journals, and even holding on to their academic positions as experienced by this author and others. So while 'official disclosure is yet to occur, officially sanctioned leaks of information have been permitted so those that are ready for the information can develop a "situational awareness" of extraterrestrial life and the public policy issues it presents. In contrast, those not ready for the truth can maintain blissful ignorance or remain in a state of denial where they become skeptics/debunkers. The following paper encourages us to develop an appropriate strategy that culminates in 'official' disclosure. Most critical in such a strategy will be a series of educational and political initiatives to stimulate informed public policy debate of extraterrestrial life, and of the evidence available in the public realm. Once an informed public dialogue is underway that includes policy professionals and scholars, then 'official' disclosure will be much more likely. The good news is that the rapid increase of UFO sightings and experiences with extraterrestrial life, and mainstream press interest in Presidential candidate views, raises considerably the prospects of official disclosure. The wild card in public efforts to stimulate official disclosure, is the attitude of extraterrestrial civilizations monitoring the Earth. Ultimately, they may decide to precipitate official disclosure by unveiling themselves to the global public. This is something that should not be underestimated and indeed may result from informed public debate on extraterrestrial life. the apparent best course of action, and what is happening. the UFO files once elected. promoted by many public interest groups. other countries in the United Nations. Danger is a relative term. imprisoned, that woman got the right to vote in 1920. Women were not handed the vote. The vote came after 75 years of struggle. after years of pressure on politicians. many large marches on the Mall in Washington DC. came after great pressure exerted from within the gay and Hollywood communities. Vietnam War came after years of demonstration on campuses and various U.S. cities. gays. Enough people must support the issue until it becomes a powerful voting block. Then politicians who must get reelected begin to listen. combination) of the following points.